Karen Lynch has been the CEO of the social enterprise, Belu Water since 2011, having previously pursued a corporate career in media and finance. Belu offers the most ethical choice in water service from bottled mineral water to filtration and reusable bottles and carafes. 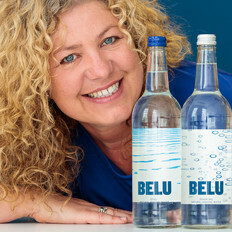 Belu income is all from trading and to date, the business has passed over £3 million to WaterAid, transforming over 200,000 lives with access to safe water and sanitation. Saasha is co-Founder of OLIO, a free app harnessing the power of mobile technology and the sharing economy to provide a revolutionary solution to the problem of food waste. OLIO connects neighbours with each other, and volunteers with local businesses, so surplus food can be shared, not thrown away. OLIO has 900,000+ users who have successfully shared 1.3+ million portions of food with each other. Prior to OLIO, Saasha spent 13 years at Morgan Stanley, McKinsey & American Express. Saasha has an MBA from Stanford, is mum to a 6 year old boy, and the proud daughter of hippy entrepreneurs. 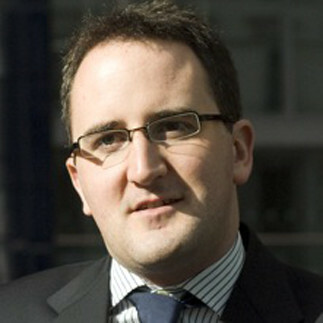 Phil Geraghty is a leading authority on rewards crowdfunding for startups, having launched and managed the growth of the UK's leading rewards crowdfunding platform, Crowdfunder.co.uk. Under Phil's leadership, Crowdfunder has helped 25,000 businesses, social enterprises, communities, charities and individuals raise over £59m. Phil has also raised over £3.5M for Crowdfunder through Equity Crowdfunding and has over 2000 shareholders. Lee Mannion has been writing about social enterprise for the last four years. He was the former editor of the UK social enterprise magazine Pioneers Post before moving to the Thomson Reuters Foundation to be their social enterprise correspondent. Lee left the foundation at the end of 2018 and is now freelancing. He has recently written web content for the School for Social Entrepreneurs and consulted for Social Finance on a forthcoming report about systems change. Sophie is head of communications at the School for Social Entrepreneurs (SSE). SSE helps 1,000 people a year develop the skills, strengths and networks they need to tackle society’s biggest problems. Her goal is to ensure everyone who needs to know about SSE is clear about what we do. She leads communications and branding from SSE’s central team, supporting SSE’s network of 11 schools in the UK, India and Canada. 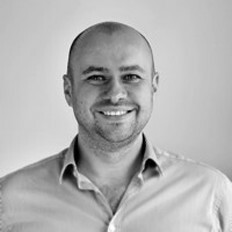 Alasdair Inglis is the Managing Director of Grow, which delivers sales and marketing consultancy and training for fast growing SMEs, universities and business programmes. Over 12 years, he’s worked with over 200 fast growth businesses to transform their business results and taught marketing to over 6,000 entrepreneurs. Alasdair is the current Marketing Expert in Residence at the British Library, where he also teaches a monthly Online Marketing Masterclass. 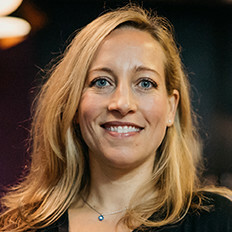 Devi Clark is Programmes Director at Impact Hub King's Cross, providing a range of business support interventions to help social entrepreneurs start up or grow ethical ventures including the Impact Hub Scaling programme, supporting 110 social enterprises scale across 8 European countries. Devi is also founder of the Outsiders’ Network, ran TEDxAylesbury 2015 and has blogged at Huffington Post, Brazen Careerist, Life Hack and Third Sector. Her book, People, Planet, Passion, reached #2 in the Amazon Kindle store for Nonprofit Organisations and Charities. Devi has an MA (Hons) from the University of Edinburgh and a Postgraduate Certificate in Careers Guidance from University of East London. Irma was formerly Marketing and Operations Intern at Margarete Steiff GmbH where she helped to develop new marketing strategies across global markets and supported costumer communication. She specifically focuses on investor communication and management, venture data screening, portfolio reporting, internal accounting and event management at Mustard Seed. Irma holds a Bachelor of Arts in International Business from Cologne Business School in Germany and recently passed Level I of the CFA Program. During her studies Irma was part of various charity initiatives helping to fundraise and support NGO’s in Germany. 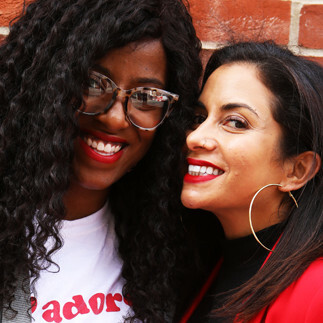 Jamie founded socialsupermarket.org in late 2018 with the vision that shopping with purpose should be easier. He has seven years’ experience advising companies on responsible business, supply chain management and reducing their carbon footprint (working at BITC and Natural Capital Partners). Jamie is also a trustee for Emmaus Lambeth, a social enterprise supporting ex-homeless and has worked as a job coach for people with unspent criminal convictions. Louisa set up Toast Ale in 2015, with environmental campaigner and author Tristram Stuart. Louisa is the global brand director, managing brand identify, marketing activity and internal culture. She also leads on Toast's B Corp commitment and is the company's steward for sustainable business practices. Prior to Toast, she was a sustainability consultant at the Carbon Trust, and is a qualified management accountant. Michael Buckworth, the managing director of Buckworths, has a huge breadth of experience advising startups and high growth companies in a range of sectors including technology, fin-tech, digital and hospitality. Named as “Corporate Lawyer of the Year” for the past four years, he spends much of his time advising clients on corporate and commercial strategy as well as dealing with other issues facing their businesses. Nneka heads up Echo++, Echo’s business accelerator for micro enterprises and solopreneurs powered by connectivity and sharing. Over 250 local businesses have already benefited from Echo++’s refreshing approach to business development - one that champions peer-led, collaborative growth. Sarah joined the founding team of Echo in 2013 and since then, Echo has grown to a network of more than 5000 local residents and businesses exchanging skills, knowledge and resources using a unique time-based currency where everyone and everything is valued equally - 1 Echo for 1 hour. Teddy Kim is an Investment Principal at Mustard Seed. Previously he was as an Analyst at BlackRock, Research Assistant at the Yale School of Medicine, and Research Fellow at the Keck School of Medicine of University of Southern California. His experience also includes coordinating community partnerships for an urban agriculture start-up and leading a team of 200 student volunteers at a nationally recognised hospital. Born in San Francisco, Tara Chandra received her BA in Economics from Columbia University in New York, where she briefly worked on Wall Street, and her MSc from the London School of Economics, where she received the C200 Scholar Award for outstanding MBA students displaying extraordinary leadership potential. A trained barista who worked many coffee shops during her studies and the early days of FLO, Tara is a diehard coffee fan and is frequently found longingly eyeing a Latin American single origin espresso. Susan grew up in the city of champions — Boston, Massachusetts, and received her B.A. in communications and legal studies from the University of Massachusetts Amherst. At the start of 2016, she relocated to London to lead the Foundation's work on diversity and inclusion, and to launch FLO. An avid reader, and a new mom, Susan is a recent convert to the magic of audiobooks. Steve Coles is CEO of Spitalfields Crypt Trust, an addictions recovery and homelessness charity based in east London. SCT provides a long-term and whole-person approach to recovery, including involvement in social enterprises. Before joining SCT, Steve founded and ran Intentionality CIC, a social impact consultancy that worked with 600 charities and social enterprises. Prior to that, he was Social Enterprise Development Manager for The Salvation Army across the UK and Republic of Ireland. Catherine is part of the Bethnal Green Ventures team, an early stage investor in Tech for Good businesses. BGV runs an accelerator programme twice a year and they are currently excitedly reviewing the applications received for the next one which begins in May. Previously she worked at Deliveroo and was an early finance hire helping to set up and scale the finance team. Annelore Huyghe is a Senior Lecturer in Entrepreneurship at Cass Business School since 2017. Previously, she worked as Research Fellow at the Australian Centre for Entrepreneurship Research. She received her PhD in Applied Economics from Ghent University (Belgium) in 2014. Annelore’s work has been published in leading journals in her field, including Strategic Management Journal, Journal of Business Venturing and Small Business Economics. Her scholarly activities have received international recognition, such as Best Paper Finalist from the AOM OMT Division in 2018, Best Paper Winner at ACERE Conference 2015 and Distinguished Reviewer Award from the AOM Entrepreneurship Division in 2014. She currently teaches courses in entrepreneurship and innovation at graduate and MBA level. 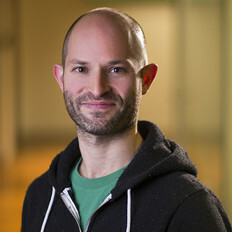 Alex Stephany is the Founder and CEO of Beam (www.beam.org). Beam lets anyone be part of the long-solution to homelessness by funding employment training for a homeless person. Beam is partnered with the Mayor of London and leading homeless charities who refer individuals to the platform. The world's first platform of its kind, Beam has won 1st Prize in the London Homelessness Awards and Best Use of Technology in the Homeless Sector. Beam was named by The Guardian as one of the most important social tech innovations of 2018 and the Financial Times as one of Europe’s 100 digital champions.